Tracking is a new surf flick being produced by Australian filmaker Jimmy James Kinnaird and the guys at Deus Ex Machina. Heavily influenced by the "transitional period" in surfing, specifically 1969-1971, watch as Ellis Ericson and Jason Salisbury hand-shape single fin trackers and surf them at a number of locations throughout Indonesia. Did I mention my two favorite things are motorcycles and surfboards? Late last week, my girlfriend and I had the pleasure of testing the safety features of our 1989 Volvo wagon. My girlfriend had a childhood friend in town who was supposed to photograph her sister's wedding. After a full day of sightseeing around Seattle, the three of us were headed back to our place on Alki when a young lady in a BMW failed to yield to oncoming traffic. With no room to react, we collided with her crappy Bavarian coupe. The young lady was both uninsured and driving without a license. The result? 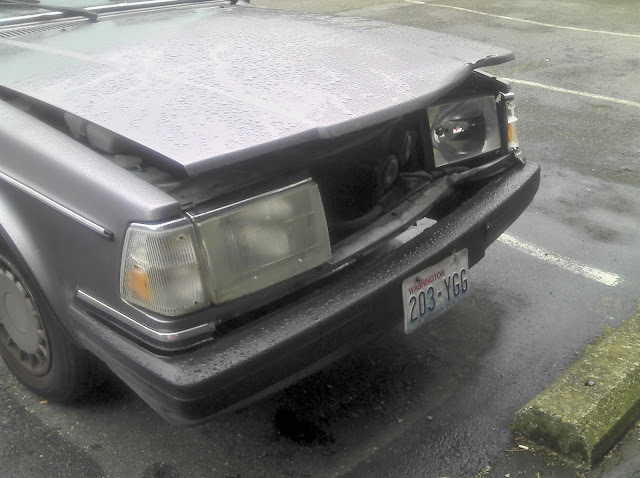 One broken arm, one broken nose, a "fat lip" and one fucked up Volvo. Last weekend the guys from Deus Bali held a longboard competition at Tugu Beach, just down the road from their 'Temple of Enthusiasm' in Canggu. 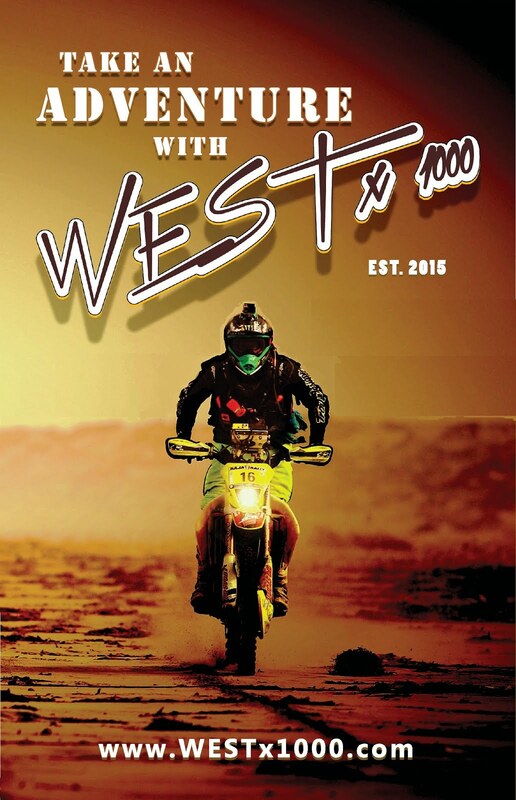 The event was sponsored by Red Bull, Bintang, The Critical Slide Society, Journey, The Yak and Raen Optics, and brought a number of talented noseriders from around the region to the southwestern shores of Bali. Like most of their events, it looks like everyone had one hell of a good time. This is Tyler Hatzikian of Tyler Surfboards. He was featured in Jason Baffa's film, Singlefin: Yellow, which follows a 9'6" singlefin pintail around the world, from So-Cal to Australia, Japan, Hawaii and finally back to Tyler's shop in El Segundo. He clearly knows how to ride a longboard. Spent last weekend surfing my father's 10' Robert August. 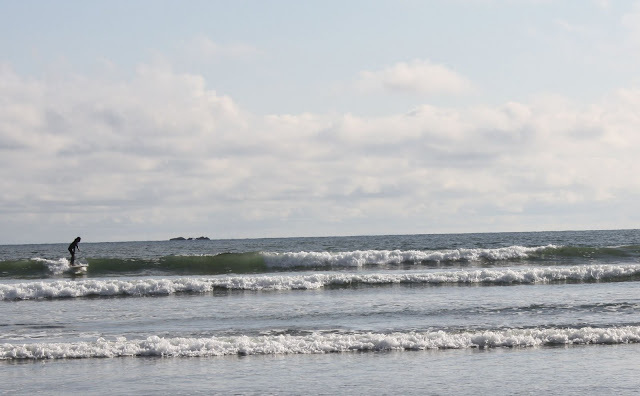 Waves were roughly three feet tall, with little to no wind in the morning. Perfect conditions for that big log. More photos available here. 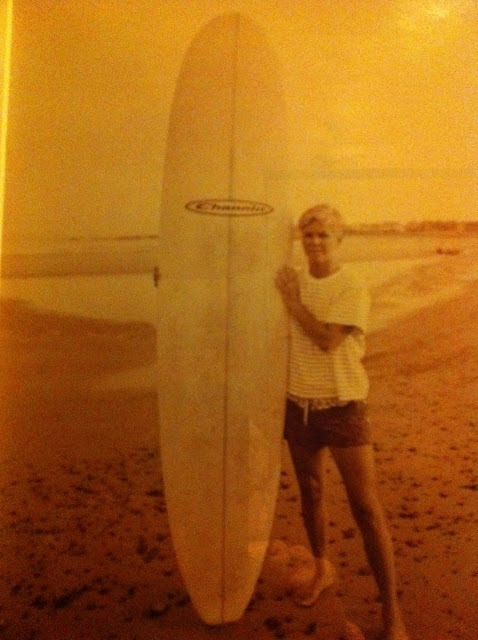 When I was in junior high, my father's good friend Terry got stoked on riding longboards. Terry had bought himself a Gordon & Smith, as well as a couple of Sector 9s for his kids, Tyler and Carly. After test riding Terry's board, my father stopped by Marley's in Ballard and picked up a Powell with extra wide trucks (he's a big fella) and a Sector 9 pintail for me. Terry, who worked for a hauling company, lived in a small house on the outer edge of an industrial complex that he was helping to develop. He had access to the entire complex, including the freshly paved roads that ran from building to building. 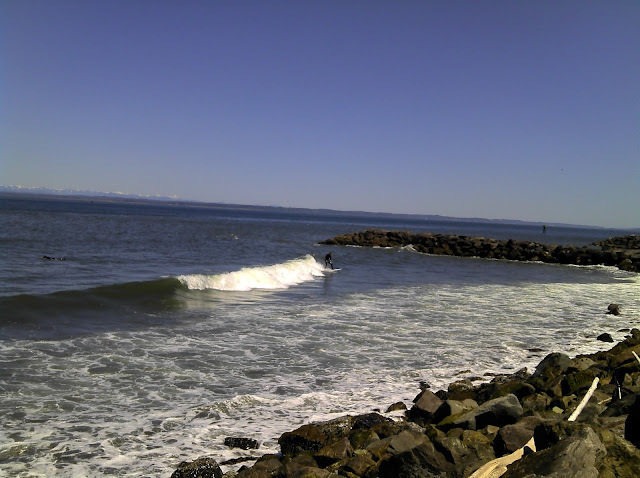 On the weekends, my father and I would ride the ferry from Seattle to Bremerton, drive out to his place near Silverdale, ride our longboards all afternoon, grab dinner and then head back to the city. It was a good time. Albeit short lived. The board I am riding in the photo belongs to my father. Thomas Bexon is an Australian shaper who is producing some really interesting longboards. I'm particularly fond of Old Faithful and the Sod Model. Super wide. Single fin. Bexon is currently headed to Indo for Deus Bali's 9ft & Single long board festival. 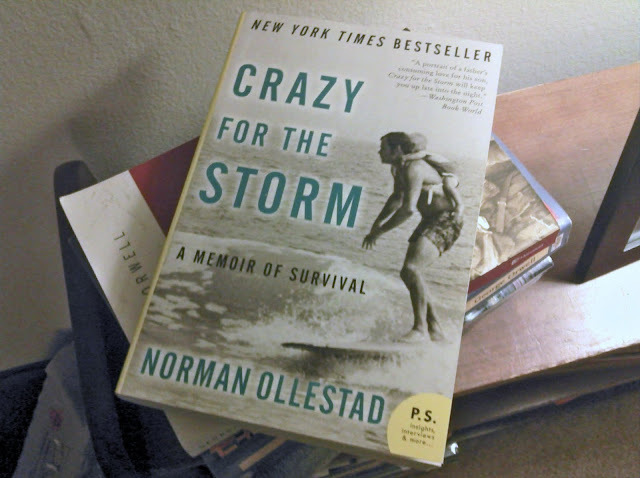 On my way back from Westport a few weeks ago, I picked up a copy of Crazy for the Storm: A Memoir of Survival by Norman Ollestad. The book chronicles Ollestad's decent of an 8,000ft mountain after the plane his father had chartered crashed, killing both the pilot and his father. Ollestad was only 11 years old. Additionally, the book highlights Ollestad's formative years living in the counterculture paradise of Topanga Canyon, and his "larger-than-life" father who pushed him to excel in a number of athletic endeavors, including surfing and competitive downhill skiing. Written more than 30 years after the fact, Ollestad's memoir is a stark reminder that anything can happen and that mental toughness is essential to survival. Banjo McLachlan, a member of The Gentlemen's Surf Club, posted this video to their Tumblr a few weeks ago. Not sure who is featured in the film, but he certainly knows what he's doing. 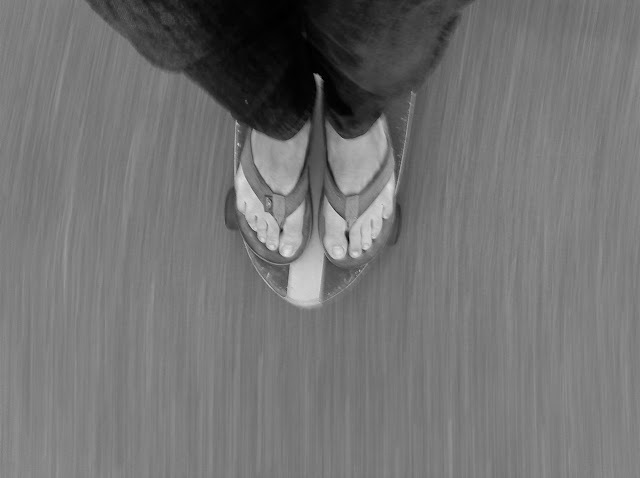 Did I mention I am falling in love with longboards. 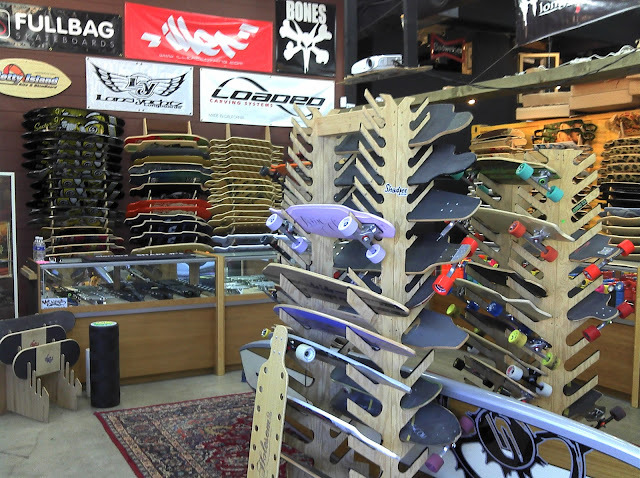 Stopped by Motion Boardshop last Sunday after we got back from Westport. Ms.Wood was interested in purchasing her own longboard and had spotted this place on her drive home. Turns out they recently relocated, and while they seemed fully stocked, you could tell they had just moved in. Watched all six parts of Hi Shredability on Netflix the other night. Episode featuring Alex Knost inspired a Google search. Weird kid. Love his style, though. Makes me want to ride my father's 10' Robert August this weekend. Anyhow, check out this trailer for Lines From A Poem, a film by Nathan Oldfield that highlights "classical waveriding using traditional equipment," and features Alex Knost, Tom Wegener, Dane Peterson, Belinda Baggs and Mike De Temple. 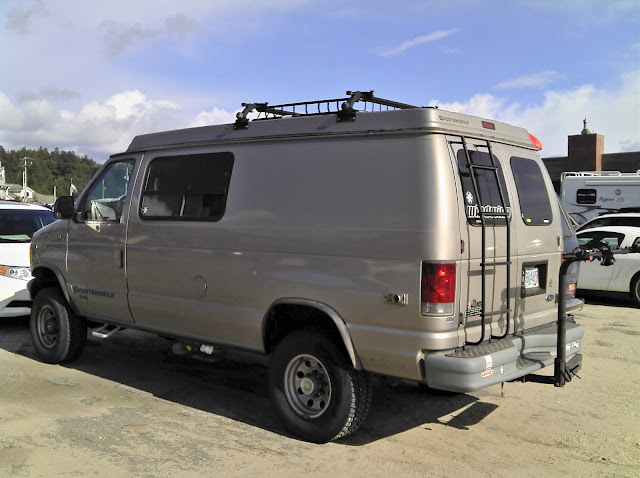 Turbo diesel powered Ford E-250 spotted at the Pelican Pub in Pacific City, OR. Do want. This evening, while walking home from the Colman Pool, I ran into Tom. 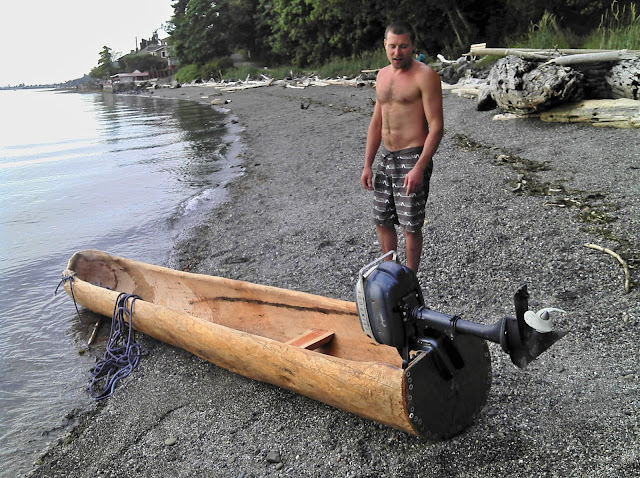 An aviation mechanic that works for Ameriflight, Tom found a rather sizable piece of drift wood last winter and decided to build himself a boat. Three months, and countless hours later, Tom now has a functional vessel. Powered by a 1958 Evinrude outboard motor (that he rebuilt over the course of last winter) Tom's boat is fully functional, however he plans to add another hull, and maybe even a sail. Certainly one of the most interesting people I've met. Late last week, my friend Shawn from Stoke Harvester suggested this album to me via the book of face. 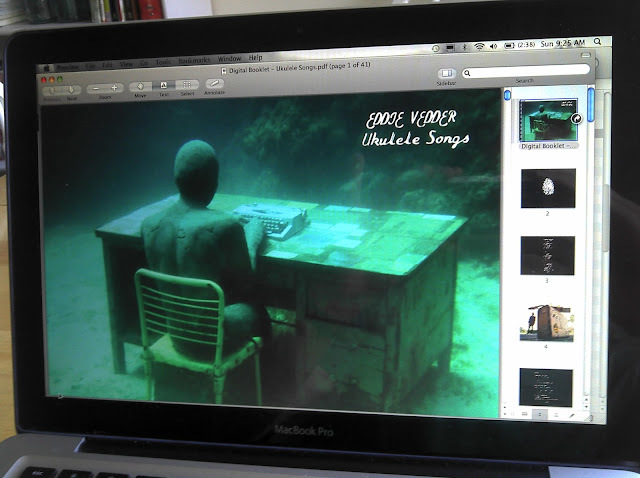 What is essentially an acoustic album from Pearl Jam front man, Eddie Vedder, "Ukulele Songs" is Vedder's second (?) solo album and is made up entirely of 16 songs, including five covers and duets with Cat Power and Glen Hansard, all of which showcase the simplicity of his ukulele matched with his voice. Good stuff. Drove out to Westport Friday night. Awoke to off-shore winds and four foot swells at the Jetty. By noon the winds had shifted to the Northwest and had increased to well over 10 mph. Jetty was windswept and closed out. This is what the Groins looked like at noon. Not ideal, but better than we expected. Ms.Wood's new stick is a lot of fun. Floats like a longboard, surfs like a funboard. After responding to 20+ emails, Ms.Wood sold her Suzuki DR200SE last night, and is now in the market for her first surfboard. That being the case, I started to browse craigslist and came across a 7'8" Gordon & Smith for $300. Although the board had already been sold, the woman mentioned she had another board, one that hadn't been ridden in a few years and was currently living in the rafters of her barn. Turns out the board is an 8'6" Channin and the lady wants just $125 for it. Funny thing is, Ms.Wood has been looking for an 8'6" "funboard" for quite some time now (long story). Anyhow, I asked the woman to send me a photo, and this is what she sent. Following the grind, we plan to ride the ferry to Vashon Island, pick up the board and head to Westport. Full report to follow.